Rocks were definitely the predominate feature on a trip we took recently through southern Arizona and New Mexico. We began our journey at Kartchner Caverns, southeast of Tucson, Arizona. We had been to the caverns before, on tours of the Throne Room which features the world’s longest soda straw and Kubla Khan, a fifty-eight foot column. This time we were able to tour the Big Room which had only been open for a week. The Big Room is closed from mid-April to mid-October because it serves as a maternity ward for over a thousand female bats. 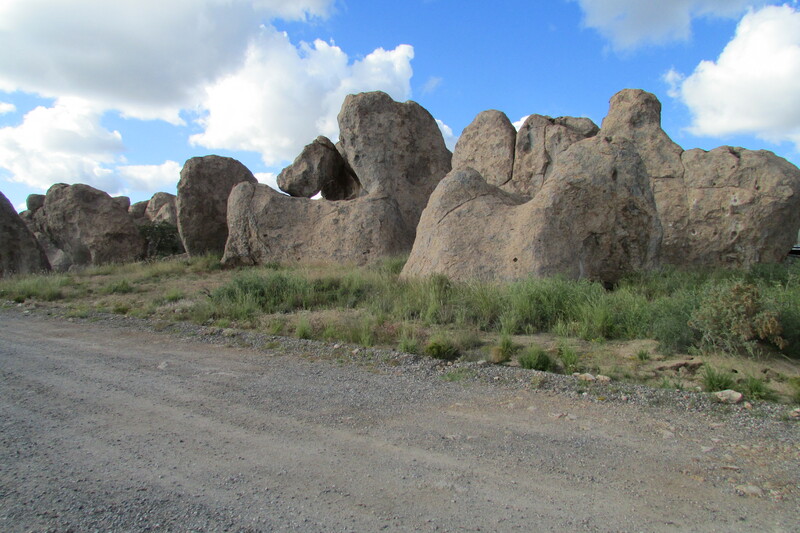 It was a spectacular tour that included columns and ribbons called bacon as well as rare formations called moonmilk. What makes Kartchner Caverns distinctive from other caverns is that it is alive. Every effort is taken to maintain the proper humidity and conditions in the cavern. Watching water drip from the soda straws onto forming stalagmites, is like watching history in the making. 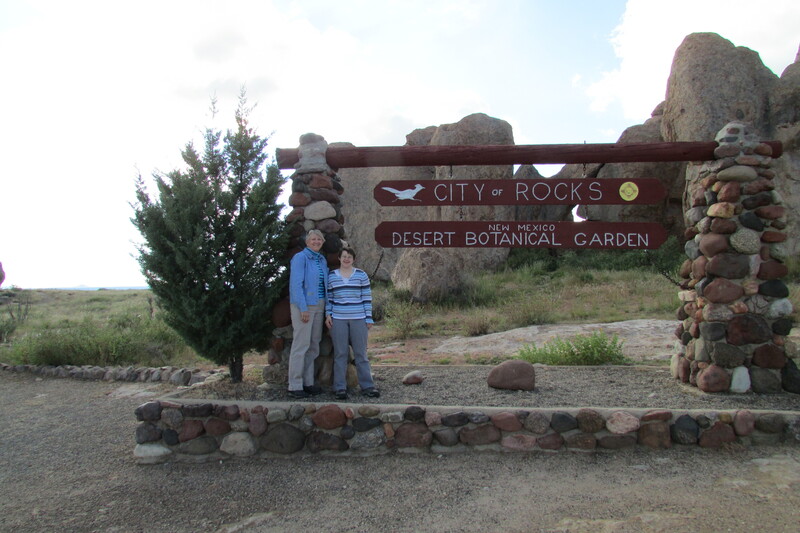 After leaving Arizona, we drove to Deming, New Mexico and then on to City of Rocks state park. It only takes a little imagination to picture Fred and Wilma coming out of one of the natural rock structures. This rock city is in the middle of a huge grassland. It appears as though some giant grew tired of carrying rocks in his pocket and dropped them on the ground. The park is a campground and some of the campsites are among the huge rocks. I had mixed feelings about that as I attempted to take pictures and avoid the huge motor homes. After spending the night in Silver City, we left for Gila Cliff Dwellings. To get there required a journey of forty-five miles that would take an estimated two hours. The drive was along a road called the Trail of the Mountain Spirits. The two hours went by quickly as we were treated to forests of ponderosa pines splattered with the red and yellow leaves of the changing deciduous trees. Part of our drive took us up among the clouds. When we finally reached the cliff dwellings we were greeted by forest ranger volunteers who directed us up the path along a small creek. Reaching the top, the trail led us to another ranger who escorted us into the cliff dwellings. There we were able to explore the many rooms and enjoy the views. 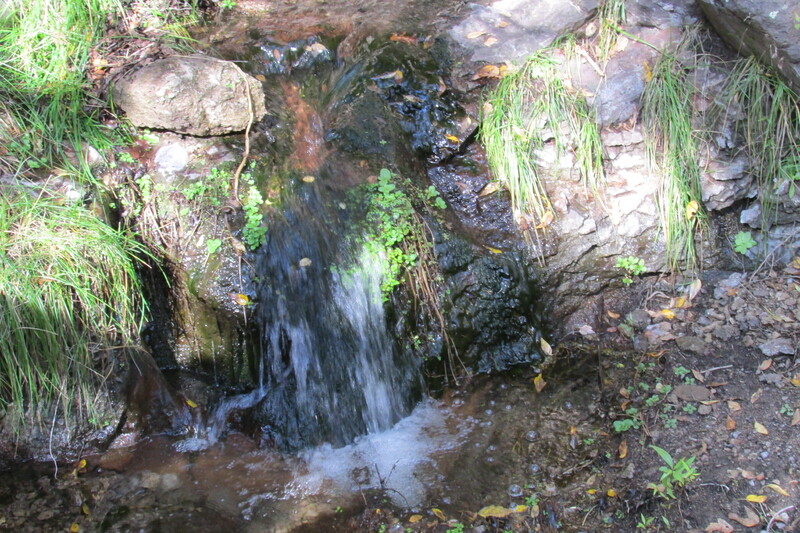 The ancient residents were Puebloan people archeologists call the Mogollon. They grew crops of beans and squash in the Gila River valley. 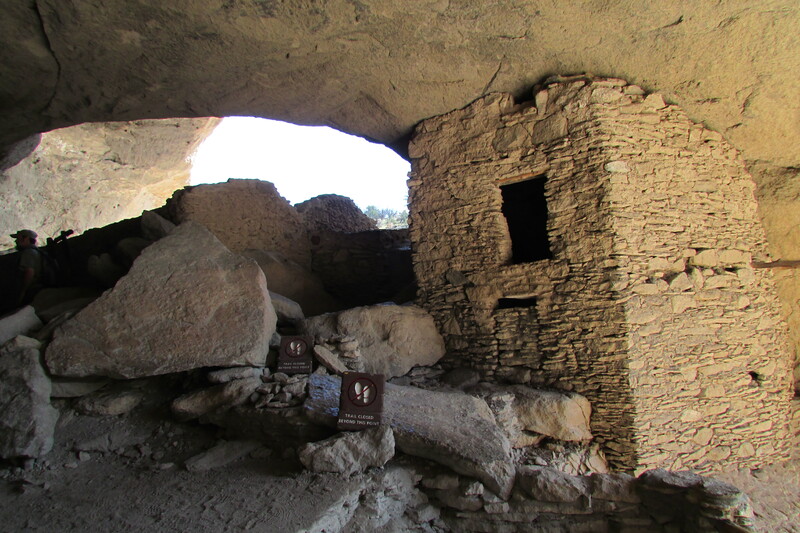 The cliff dwellings were built between 1276 and 1287, using rock, mortar and timber. 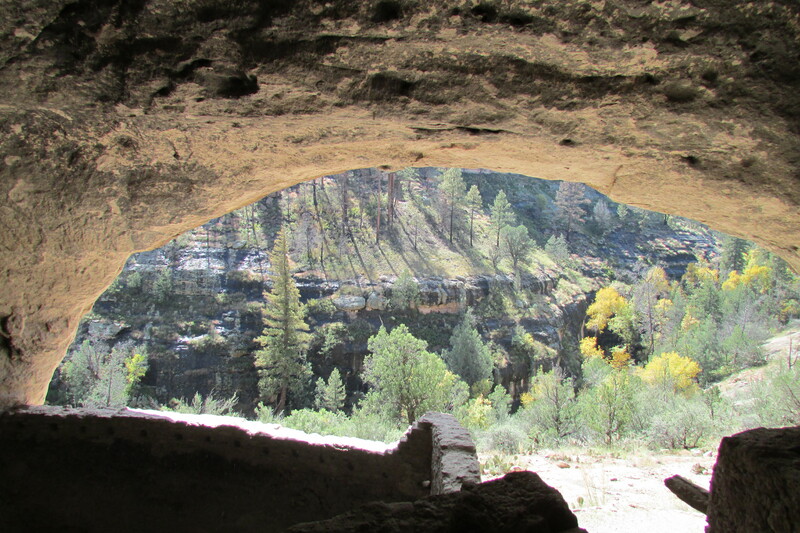 The cliff dwellings consist of about 40 rooms inside five natural caves. Why the ancient people left this site is unknown. But by 1300, they abandoned their homes during a time of migration. In Truth or Consequences, we stayed in a motel that offered a hotsprings bath. With water that comes out of the ground at 112.5 degrees and contains 37 minerals, we were able to soak away our travel fatigue and prepare for the rest of our journey.